Your Holiday Home Haus Helga *** is in the center of Obertauern, in a quiet location. Step right out of your 2 – 4 person holiday apartments and you will find the Pernerlift that brings you into the Obertauern Ski Resort direct in front of the door. 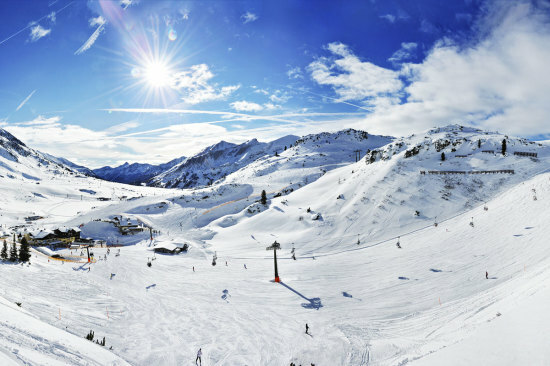 You will enjoy pure skiing pleasure on the 100 km of slopes and 26 ski lifts with fabulous views. A variety of alternative winter sport facilities are available to guests: cross-country skiing, biathlon, sledding, snow-shoeing, sleigh rides, and much more. The ski bus stop “Passhöhe” is just 300 m away. Your car can be parked in front of Haus Helga ***. You can find more useful websites on our Holiday Tips page.